Funeral home advertising is tricky. With all of the brand messages, marketing materials and multimedia ads that people see every day, standing out from the pack can be difficult. Especially if what you are selling is death care related. Sure, dying is slowly becoming more widely discussed and is bordering on a mainstream topic. However, it is still not something people mainly want to talk about, much less see on their drive to work or read in the morning paper. So how do you implement effective funeral home ads? Well, the answer is simple – target, target and target some more. Don’t try to get your messages in front of everyone. Focus your efforts on the audiences and channels that will offer the most return. This post will kick off a series in which we will cover the most popular funeral home advertising channels, and help you become an expert. In this particular post, I am going to discuss some of the latest trends in advertising and share how they can be adapted for funeral home advertisement. Don’t build your funeral home ad strategy until you read this and stay tuned for more helpful tips. Traditional advertising is a broadcast, and that is why it has been on the downturn. It’s even harder to track than it is expensive. That being said, channels like print, television, and radio can still be useful advertising channels for community-first businesses like funeral homes. After all, they have stood the test of time. They just need to be used correctly. For example, it is essential to understand the demographics of your service area. What roads do older, working commuters take? What radio station do the elderly listen to or what local channel do baby boomers prefer to watch in their spare time? Answering these questions will allow you to better target your funeral home ads so they reach the right people at the right time. It is essential to maintain a relationship with your local publications and advertising firms. However, here is one tip for finding out if it works. Create unique URLs (like yourfuneralhome.com/offer) or landing pages (hidden from your website navigation) on your site specifically to be used in these ads and nowhere else. This way you can monitor the traffic and conversions on these specific pages – to see the return on your traditional advertising budget. 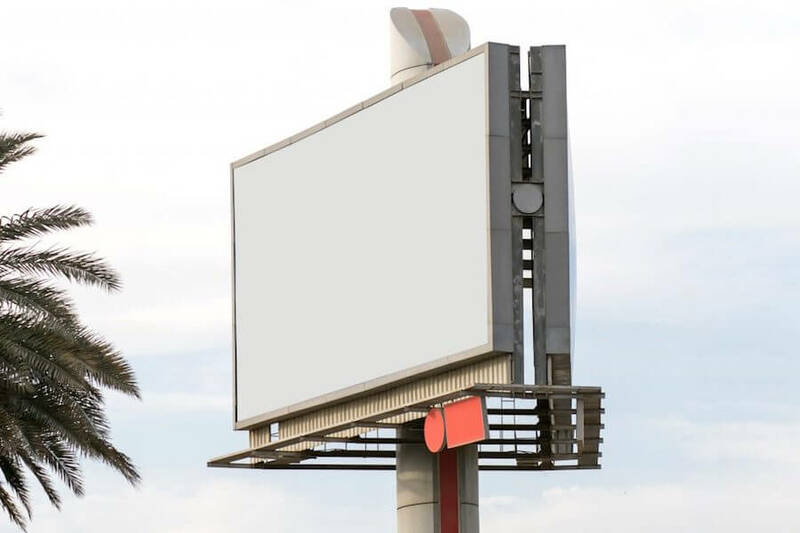 From there, add more budget to the billboard or newspaper ad that worked – and cut the others from your strategy. Plenty of people will tell you to drop traditional funeral home advertising altogether, but instead we just need to target our efforts more and track where we can. Digital advertising is placing ads online on trusted websites like Facebook, Google Search, YouTube, Yelp, and more. As opposed to traditional advertising, digital advertising is less of a broadcast and interruption. Digital ads can be much more targeted, specific, can be more effectively tracked, and are generally more affordable. We are not saying to completely dump traditional advertising and migrate fully to digital, but you need to at least start experimenting with it. A 2018 Pew Research Institute study found that the average American spends over 24 hours per week on the internet (Lyfe Marketing, 2018). That means by not applying funeral home advertisement digitally, you are missing out on where many people spend their time. Below we discuss two channels of digital advertising – social media and search engines. It was not too long ago a business could advertise on Facebook or Instagram (and the many other social networks) for next to nothing. Not every company had figured out the value of advertising on these networks and connecting with your target audience was a matter of shared interest, not expertise. Now, there are way more businesses vying for a spot on people’s feeds and competing for consumer attention. It has become relatively more expensive, and to reach the right people, without spending too much, you need a highly trained social media specialist. Either that or you must be willing to dedicate the time it takes to learn how Facebook’s smart (and complicated) business manager works. Put simply, there is no way that your community will see what you post, share or promote without allocating budget for funeral home advertisement on social media. Though I am sure you have heard this 100 different ways over the last few years, it has never been more critical to have a robust online presence outside of your funeral home website. Many funeral homes use social media marketing to their advantage and, if you haven’t already, I suggest making it a crucial part of your funeral home advertising strategy (and budget) in 2019. As of July 2018, Google comprised nearly 63% of online searches done in the United States (Statista, 2018). Primarily, people use Google to help them research products or services, make purchasing decisions and find local businesses that can provide them with what they want. Whether it is on a computer or a phone (and there are MANY searches done on phones), people use search engines to find relevant, helpful and trustworthy information. Wouldn’t you want your funeral home to come up as a top result whenever someone searches for death care related topics in your area? Depending on where you are, search engine marketing may be easy or more challenging. For example, if you are the only funeral home in your area, it should not be too difficult (nor should it be) to rank organically as the top search result. However, if you are in a larger area with many funeral homes, it may require a bunch of work to dominate the results. In this case, paying for funeral home ads on google or other search engines may be the best route to take while you are waiting for your organic results to appear. Funeral home ads on google are a much quicker way to achieve listings on the first page than working on organic search. Check out our next post, which will be all about google ads for funeral homes to find out what you can do to become the trusted funeral home online, that you are offline. Need More Funeral Home Advertising Guidance? At FrontRunner, we are always willing to answer any questions you may have and help your firm decide what technology is right to achieve your goals. We also know that funeral home advertising and marketing is not what it used to be and would be happy to help you navigate the options available to your funeral home. This includes finding a solution or service that meets your budget and offering guidance to ensure you get the best results. Contact us today if you want to learn about social media, search engine marketing or how to stop guessing with your traditional advertising budget.